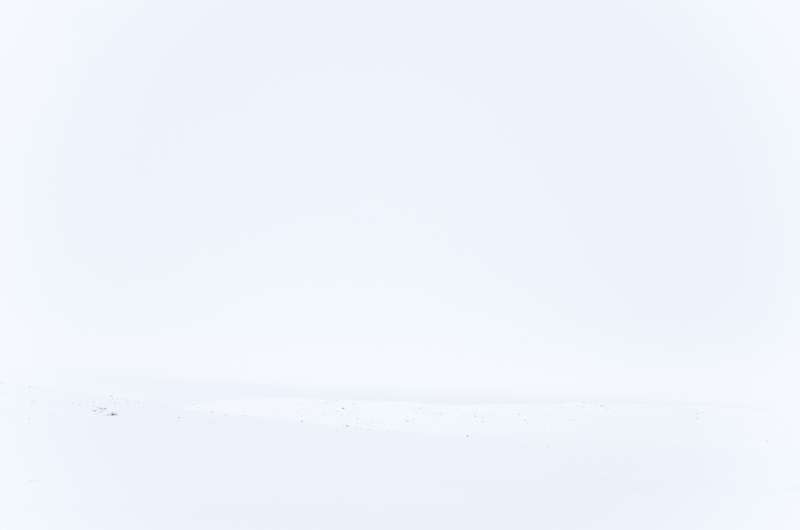 The infinite nature of White is inspiring. White as a colour. White as a space. An empty space waiting to be filled. Or left as is. White draws the viewer’s eyes towards what’s important. Or towards the small details asking to express themselves. Some people are afraid of White. Anxious. How to fill this blank, infinite space? Where to begin? If for some people, White is an impediment to creativity, it is the detonator of an explosion of ideas for others. White makes everything possible. White is a field without foundations, from where we can construct everything. White is permanent. Constant. You can cover it up, but not make it disappear. It will always be there, just underneath the surface. Whatever we do, White is here, under creativity, under the ideas written down on paper, or somewhere else. White is a base. Malleable, it is suitable to every inspiration. The cradle of human creativity. White is relaxing, restful and peaceful, like a slow watercourse, without any waves. It soothes the conscience, heals darkness. Chases shadows away. Illuminates faces. Icon of purity, it conveys a feeling of achievement, of work well-done. Minimalism. White leads to refinement. Simplicity, without uselessness. However, simple doesn’t rhyme with bland. Once again, minimalism draws the viewer’s eyes towards what’s important. There is no place for the superfluous, forced to give up its seat for the scope of purity, the scope of nothing, the scope of White. White snow is resplendent. The snowflakes fall from thick clouds, almost in slow motion, leisurely, gently, carefully, as if they were afraid of breaking their many frozen crystals. The snow is soothing, soft, elegant. The flakes touch the ground in hushed, muffled sounds. Pile up on tree branches, letterbox corners or sloping roofs. In Norway, where I was standing, all I could see was White. Bright White. I was surrounded by light. Outside the car, it was so cold that I could barely feel my hands while taking those images. As I walked in this blind immensity, I could hear my feet sink into the snow with this typical and satisfying sound, while I could feel my body stoop a few millimetres with each step. While the car was slowly making its way around the icy patches on the frozen road, some details caught my attention before disappearing again behind the rough, invisible landscape. This landscape made me feel simultaneously trapped and free. I couldn’t even distinguish the skyline from the snow. The distances were blurred. Touches of colour appeared from times to times. 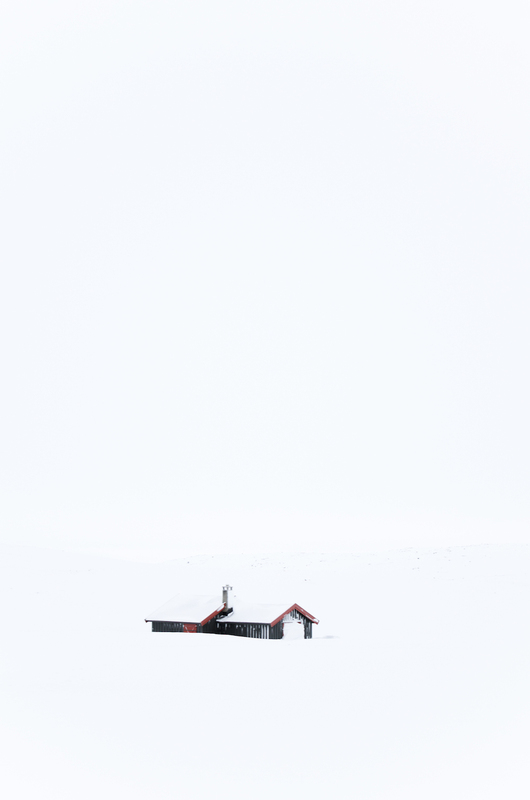 A cabin almost covered in snow. A road sign rendered invisible by the amount of snow on it. Some people snowkiting, their coloured veil beautifully contrasting on the bright white snow. But the main feeling was freedom. Whether it was freedom conveyed by the almost infinite playground and landscape I had in front of me, or by the magical effect of White.